As we rushed to complete last minute painting and plumbing tasks, nothing prepared us for the stress of our beer taps being sent without any actual taps and two cellar coolers having to be returned with faults! One delivery also got held in Belgium and another large one went mis-directed to The Birdcage. 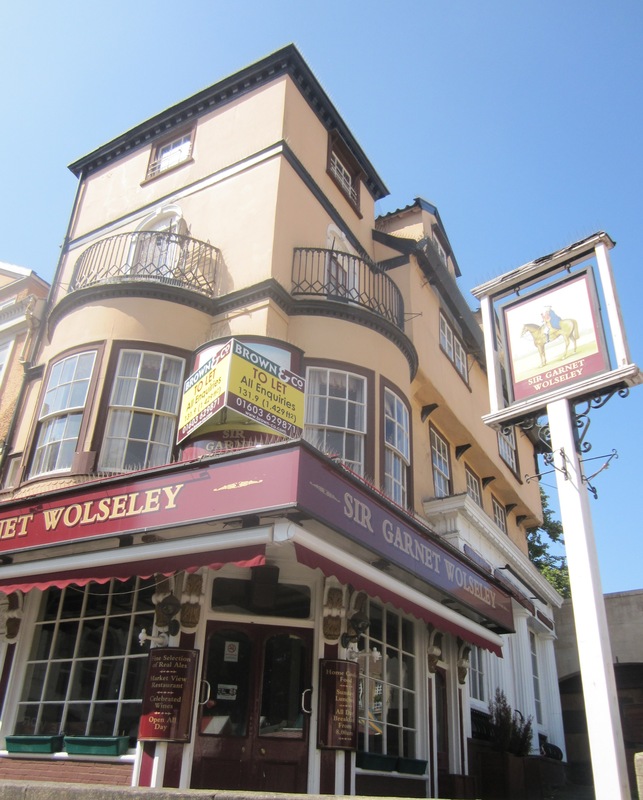 With the Olympic torch relay day looming and the city centre being placed on lock-down for deliveries it was starting to seem like we’d be the first pub to open it’s doors without any beer on tap! Thankfully, through the graciousness of our first guests and the efficiency of the local brewers (we had always planned to have local ales on tilts behind the bar, straight from the cask) we managed to get through the first 24 hours…. I couldn’t be more grateful for the positive and supportive responses from our neighbours and friends. The evenings of the Olympic torch relay and the Lord Mayors will go down as one of the most brilliant atmosphere’s in Norwich in my life-time, and well done to all who were involved in making it happen. The plan for us is to open every day from 11-late and up until 2 am at the weekends (following a conversation with some local restauranteurs and theatre-goers who seemed so delighted at the possibility of somewhere to go for a civilised late night drink). 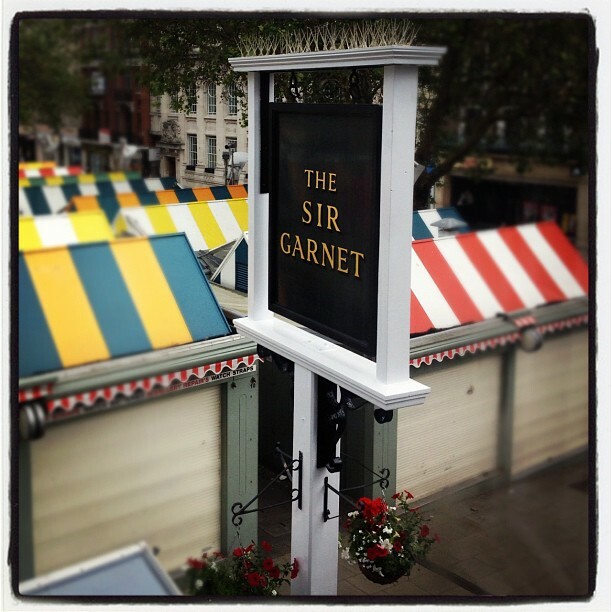 Sunday we will open all day for a proper roast, sourced by ‘The Baron’ with what’s looking most delicious on the market that week. 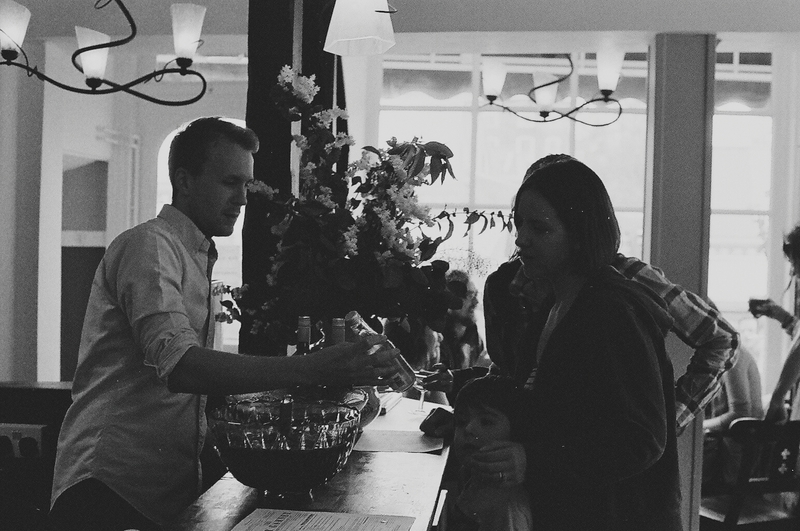 Our drinks selection will change intermittently with locally sourced suppliers changing every season. I hope to be able to feature them on this blog from time to time too…. 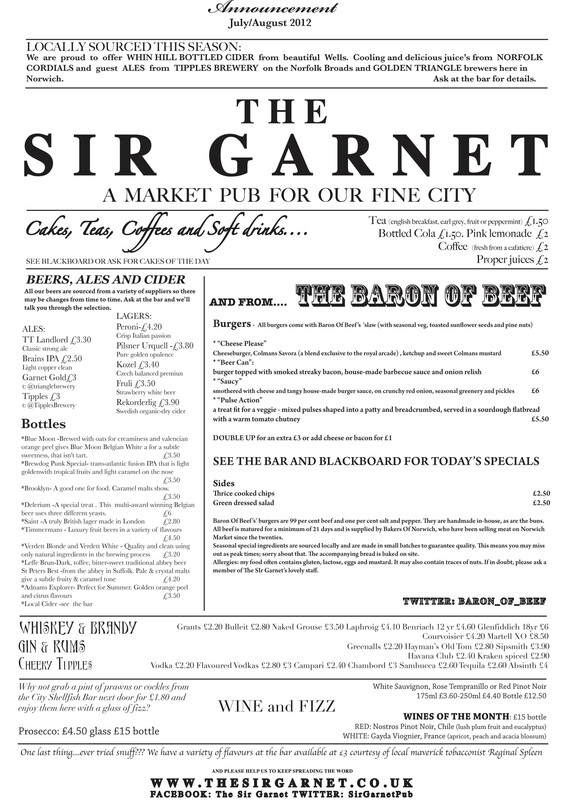 The menu’s have been created to look like old fashioned newspapers on parchment but this is an example layout which gets sent off for printing (just imagine it with a vintage, yellowing background!)…. And one last thing…..dogs are very welcome as our children. As someone who has both, I get very tired of never knowing where I can take them! Anyway, enough rambling for now but thank you…… and hope to see you here very soon. I had always known from the start that the signage had to be done by hand. 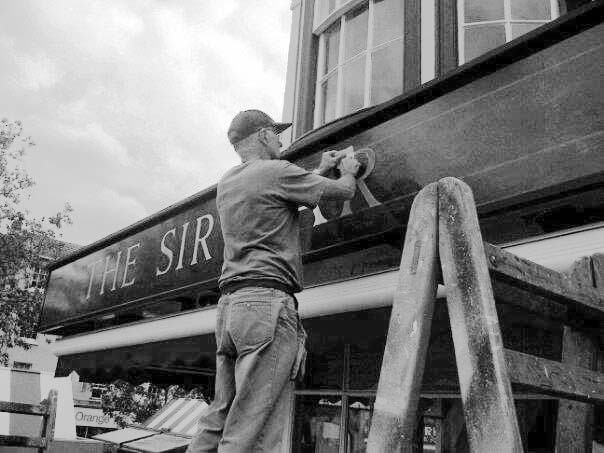 Hand-written signage has become increasingly rare in favour of the convenience of vinyl lettering. 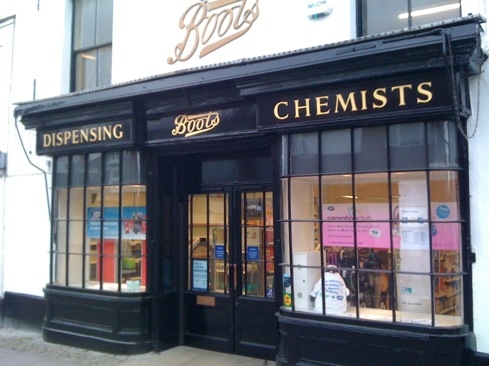 I’d always loved this Boots the Chemist in a little village down south…. simple, perfect and classic…. Those who are still craftsmen of this trade are sparce and, understandably, expensive. 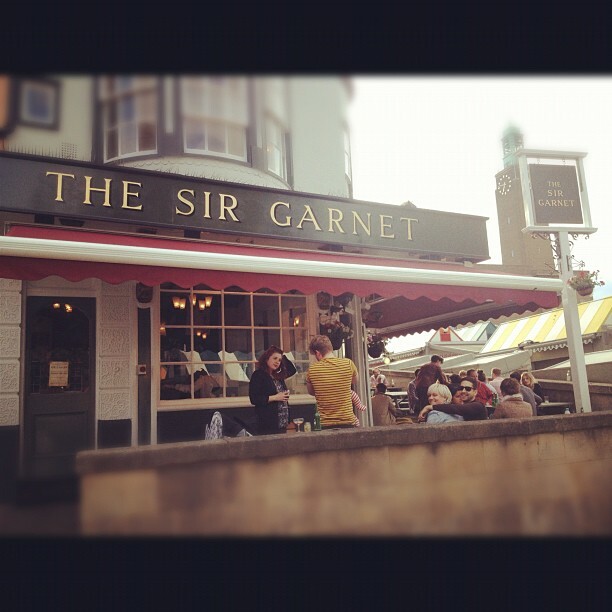 But The Sir Garnet was a building crying out for an authenticity which it had been lacking, and I was not to be deterred. Alack another issue I hadn’t planned for was that, with my limited budget, I would have two sign-writers drop out in favour of bigger jobs but such is life! Fortune was in my favour when, on a particularly rainy day, someone handed me a piece of paper with the number for David Rose…. David has been a craftsman in Norfolk for all of his life and I was thrilled when he was so enthusiastic about the project, that he was willing to work around the slightly frantic time scales we were leaving him with. We discussed the differences between gold leaf and gold paint but there was simply no way we could get this far and not do it properly. Gold leaf it had to be. Watching him carefully chalk up the letters and apply the gold sheets is a skill I shall always be amazed by. Especially with so much attention from passers by! It seems to me the signage, over-looking the market, seems to be one of the things people are most enjoying at the moment. I’m certainly very proud of it.